Don’t throw away that necklace with the broken clasp, replace it. 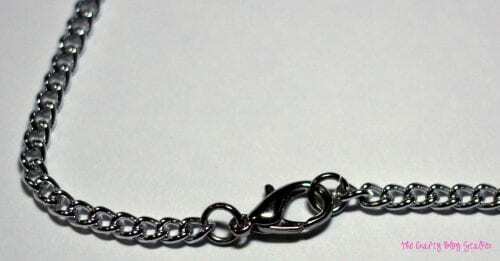 An easy DIY jewelry tutorial on how to replace a necklace clasp so it can be worn again. My youngest was so excited when she bought this cute wiggle eye kitty necklace. The first time she wore it the necklace clasp broke and she quickly turned to very sad. Replacing a broken necklace clasp is really pretty easy, so so it was time to bring out the amazing Mom bag of tricks and save the day. 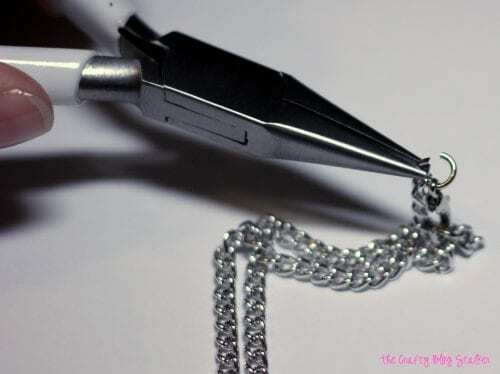 First, open the jump ring on the necklace that is attached to the broken lobster clasp. 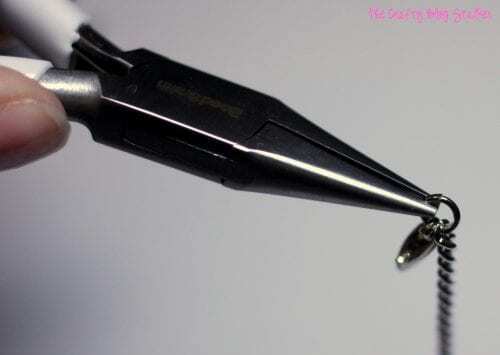 To open, use 2 pairs of jewelry pliers or even needle nose pliers and pinch each side of the ring. Twist one hand forward and the other hand backward. Don’t pull the pliers straight apart because this will change the shape of the ring and it will no longer be nice and round. 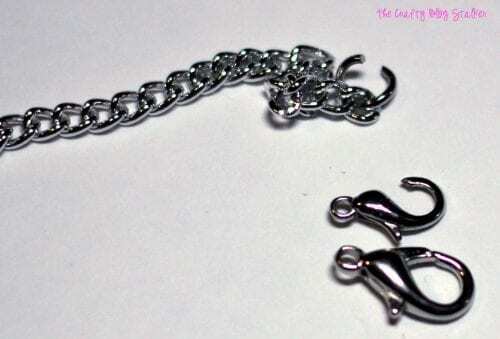 Remove the broken clasp and slip the new lobster clasp onto the open ring. To close the jump ring, use the two pairs of pliers again each pinching a side of the jump ring and with a rocking motion close the jump ring so it is nice and tight. And that is all there is to it. I told you it was easy! And here is my happy girl. Mom to the rescue once again. 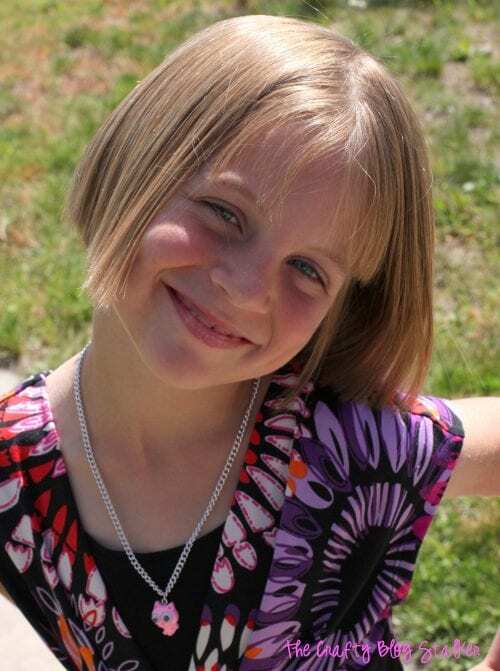 Do you have a necklace with a broken clasp? Share and leave a comment below! SAVE HOW TO REPLACE A BROKEN NECKLACE CLASP TO YOUR FAVORITE DIY JEWELRY PINTEREST BOARD! I am so glad Jenni!! I am so glad you found the tutorial helpful! It sure sounded easy when you said that if the clasp has been broken, then what we need is a plier and new a lobster clasp to replace it with. The only problem is that the clasp is somewhat welded into the necklace and there is no way to get it off. Your tip might work with my other jewelry, but not this one. I think it will be best if I take it to the professional for an expert repair. I am so sorry this method didn’t work for you, Tammy. If the clasp is not attached to the necklace with a jump ring then a professional jeweler might be best.